More–and younger–coal miners are being diagnosed with the fatal and incurable black lung disease than ever before. The rate of black lung, an entirely preventable disease caused by exposure to coal dust and silica on the job, has doubled in Central Appalachia in just a decade. Recent data shows that 1 in 5 veteran working coal miners in the region now have the disease, compared to 9 to 13% across the region in 2009. 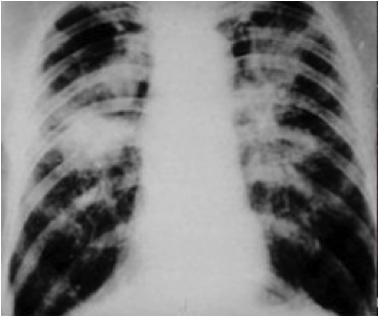 The Black Lung Disability Trust Fund provides monthly payments and medical benefits to coal miners (and surviving dependents) disabled from black lung disease, when their employer is bankrupt or when no coal operator can be identified as responsible for paying benefits. For FY2017, the Department of Labor reported $184 million paid to more than 25,000 beneficiaries living in all 50 states plus the District of Columbia, across all federal Black Lung claims. The Trust Fund is funded by a per ton excise tax on coal mine operators. The current rate of the excise tax is set to be slashed by over half at the end of the year. If Congress lets this happen, the debt of the Trust Fund will skyrocket to over $15 billion in 30 years according to the Government Accountability Office, putting the benefits of miners in jeopardy. The fund is facing a revenue–not a cost–problem: even if benefits were to be entirely eliminated, the Fund would still be $6.4 billion in debt. Congress must ensure that coal companies–not taxpayers–fund the program. While every dime of the revenue raised by the tax would go to the Trust Fund, under Congressional budgetary rules extending the tax would also enable Congress to spend a separate pot of existing money on the RECLAIM Act, H.R. 1731, which would create new jobs cleaning up abandoned coal mines. Download a one-page PDF of this information here.